We get it, jobs can be difficult to get these days. The whole process of sending your resume with the small chance of getting a callback might be difficult to handle. Why not increase your chances to be seen with the Steven Roberts resume? Its simple design packs a powerful punch sure to give the greatest impact to your future employers! 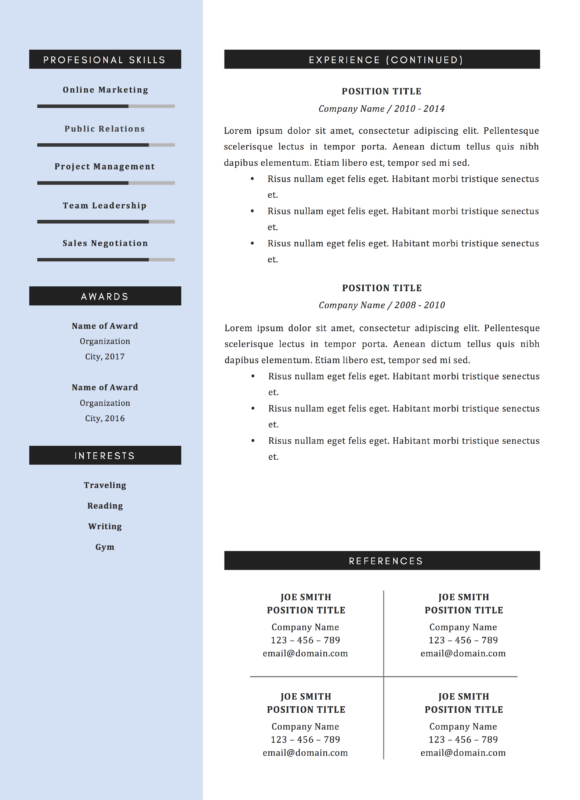 You can rest easy with the Steven Roberts resume that we have designed for you. 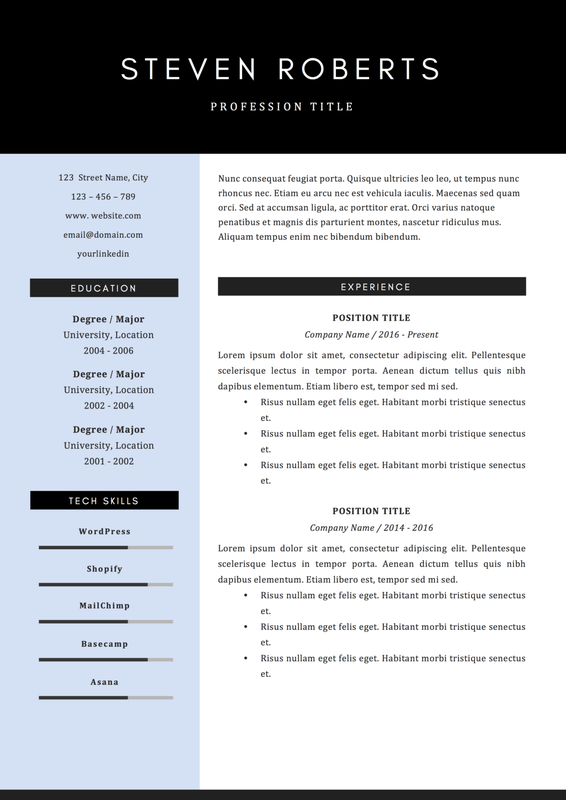 With its fully customizable design, the Steven Roberts resume can be modified to however you want it! Whether you want to maximize the space for your awards or show the company you applied to your multitude of skills, you’re completely free to do so! 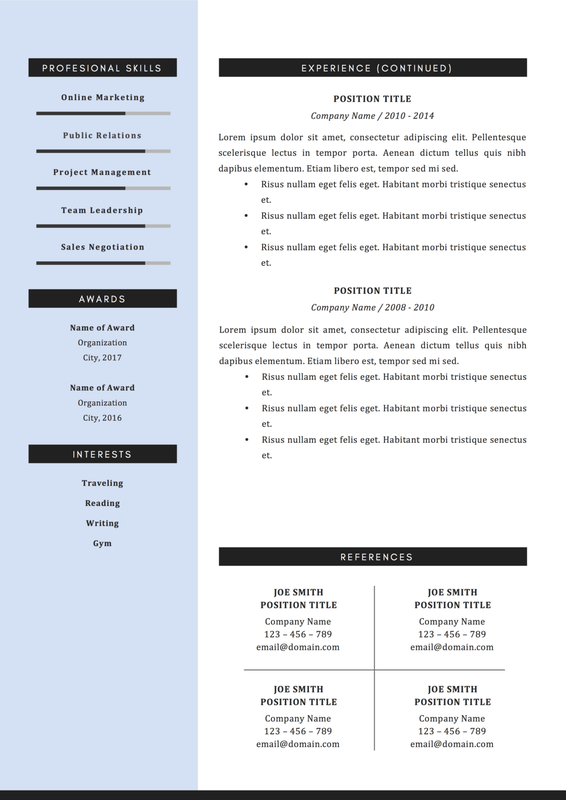 We believe that his Steven Roberts resume is as versatile as you are in the workplace! Just open your Microsoft Word to change it to your liking. It’s that simple! Rest assured that with the Steven Roberts resume, your chances of being hired will increase! Now all you need to do is be patient and wait for your callback! Install the fonts located in the “Fonts” folder. Print out the pdf and/or share it online with your hiring manager! 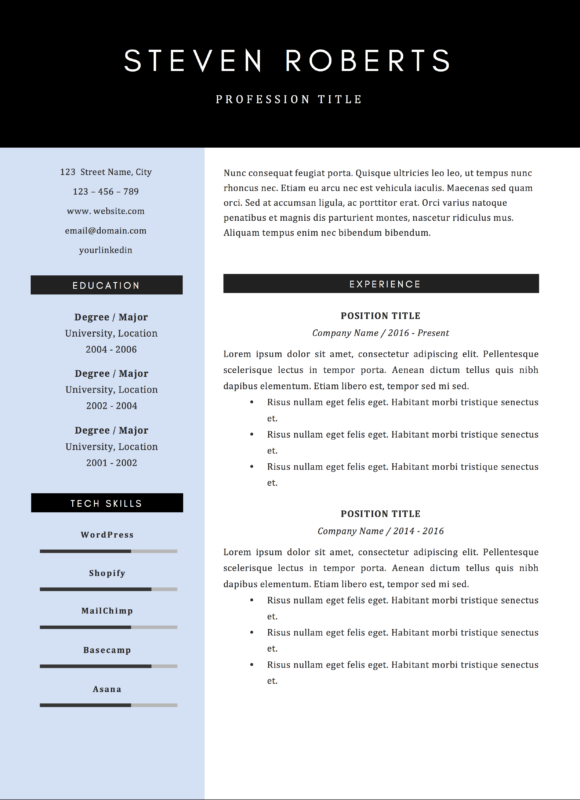 Complement your resume template with the Steven Roberts Cover Letter.